If you ask a door manufacturer or salesman this question, he or she will probably ask a series of questions to access your individual needs and requirements regarding the installation of a storm door. Below is a list of factors to consider when deciding whether to add storm doors to your home. 1.Do you live in a climate with extreme cold or heat? If you live in a relatively temperate climate, your home may not need storm doors. Storm doors help to prevent cold air from penetrating a home and also allow for ventilation during hot, humid summer months. If the weather in your region is generally mild, chances are that adding storm doors to your existing entry doors will do little to increase the energy efficiency of your home. 2.Are your current doors well insulated? Fiberglass doors provide greater insulation than wood doors, which generally benefit from the addition of storm doors. 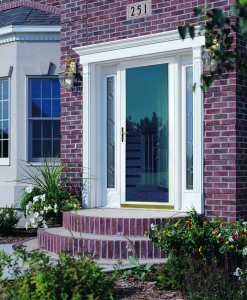 If your entry doors are primarily constructed of glass, storm doors may be a wise investment, as they’ll provide an extra layer of insulation to your home. 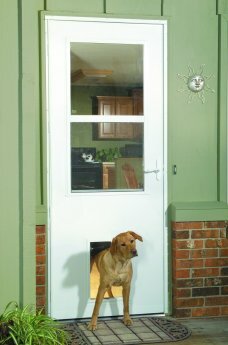 Experts agree that even steel doors sometimes benefit from the addition of storm doors. If you’re unsure as to the energy efficiency of your current entry doors, contact your local utility company. 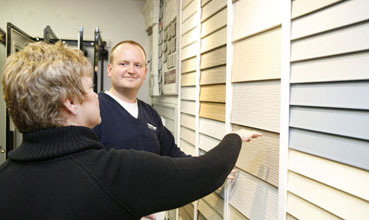 Most utility companies offer valuable resources for customers looking to improve the energy efficiency of their homes. 3.Are you planning on replacing your existing entry door? If so, instead of choosing a wood door that requires the addition of a storm door, explore all your options. These days, many entryway doors are so well insulated that a storm door may not be necessary. If the new door you choose is made of fiberglass or steel, seals well, and is weather stripped, a storm door will probably be a superfluous expense. In general, however, almost all wood doors benefit from the addition of a storm door, as wood doors are not as energy efficient as those made of steel or fiberglass. 4.Are you planning on selling your home? If so, you may consider the addition of storm doors to be an unnecessary expense, and may even believe that adding storm doors will decrease the beauty of your home or bring down its market value. Many realtors agree, however, that the addition of storm doors can actually improve your home’s market value, as storm doors will help, in general, to improve your home’s energy efficiency. Storm doors these days aren’t the clunky, unsightly contraptions they once were. You can choose from many contemporary and classic frame styles, frame finishes, decorative glass inserts and bevels, and even brushed nickel and solid brass knobs. Many online storm door retailers allow customers to pick and choose the various elements that go into their storm doors, and in effect, received custom-designed products that fit the look and feel of their home. In sum, the addition of a well-designed storm door can actually improve the curb appeal of your home. 5.Can you improve the energy efficiency of your existing door by adding weather stripping? Weather stripping is an inexpensive way to lower both your heating and cooling costs, and adding weather stripping to an existing entry door can save you up to 15% on your energy bill. Please enter the number 85621 in the box provided below.